You can finance just about anything these days from a car to a wedding ring to a smartphone. Monthly payments are extremely common when you’re buying an expensive item, but they are becoming more commonplace on lower priced items too. Salespeople use monthly payments to convince potential customers to buy their products. Why? It’s a lot easier to get people to agree smaller payments instead of one big one – allowing you to buy more than you’d otherwise be able to afford. To see this in action, simply turn on QVC. They can’t even sell a toaster without offering four easy payments of $20! When someone hears a monthly payment offer, they know they can pay $20 a month when a $80 lump sum might break their budget. Marketers know this and they’re willing to ship you an item, even if it isn’t paid in full. Essentially, monthly payments trick you into thinking you can afford anything. Of course, this might not always be the case. One monthly payment sounds small, but if you have numerous monthly payments on large and small items, it can lead to to living paycheck-to-paycheck or, even worse, ending up in debt. If you can’t afford the payment now, the better option is to save the money to buy the item in cash. It’s easy to justify purchasing the item now to get the low monthly payment. But if you can live without it for a little longer, saving money is the best route. Make sure to use a bank like CIT Bank that offers a money market paying 1.75 percent with a $100 minimum opening balance. Open an account, save the money you need, and wait until you have what you need to buy the item. There’s nothing worse than spreading out payments for something and then it breaking or needing costly repairs. The best example of this is a car. If you finance a car, you’ll likely be able to make the monthly payments without hurting your budget too much. With the average monthly car payment being north of $500, that’s a costly risk. Not to mention the fact that the car will be underwater rather quickly. Remember, a car is a depreciating asset, so the longer you pay for it, the more likely it is that the value will drop below what you owe on it. 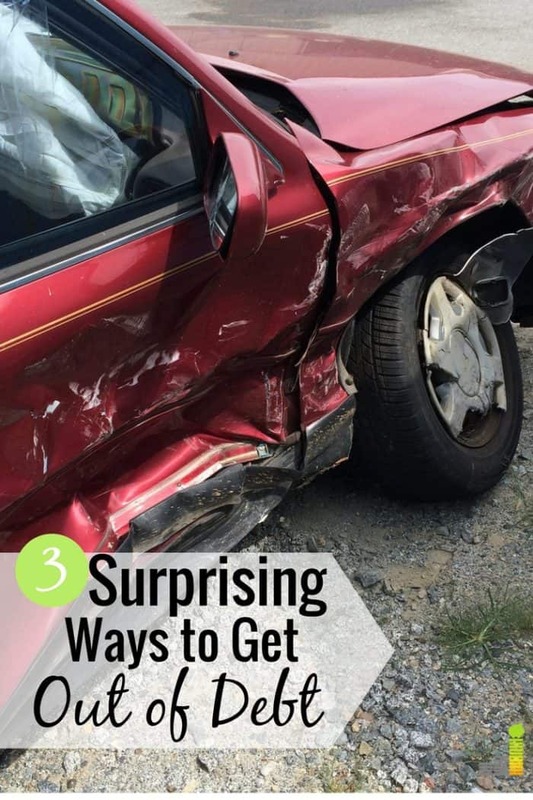 This might not seem alarming but what happens if you get into a bad car accident? Your car insurance could replace the value of the car if you total it. However, they’re not going to reimburse you for all of the interest you owe. It’s possible that if something happens to your car, you might owe more money on it than you get from your insurance company. Again, monthly payments trick you into thinking you can afford something. You might be able to buy a new car if the monthly payments are spread out over seven years. You might even be able to buy the car without putting any money down. However, your ability to truly afford the car has little to do with the “low” monthly payments. You need to make sure that you can afford to replace the car if you total it in a wreck. You also need to make sure that you aren’t paying more money than necessary in interest. This is why, if you’re able to save the necessary funds and delay the purchase, buying a car with cash is the best option. The same goes for financing a computer or a phone. What if it breaks? What if your toddler uses your computer as a frisbee and you can’t replace it? You’re still liable for your monthly payments on any money you borrowed. There’s nothing worse than having to pay for something that you don’t actually own anymore. I mentioned paying interest previously, but it’s worth highlighting. When marketers and salespeople break something down into monthly payments, it’s easy for them to hide how much you’ll pay in interest. A $300 car payment might seem like a low monthly payment and reasonable for your budget, but think about the total cost of the car over the life of your loan. Monthly payments make it easy for us to ignore fees and interest rates that the banks charge us. And those zero percent interest rate for 12 or 24 month offers make it more convenient to agree to monthly payments – not realizing how it might wreck your budget. However, some offers have fine print that state you’ll owe back interest if you don’t pay off the balance during the introductory rate. For these reasons, I encourage you to do your research. Think long and hard before breaking a large purchase into monthly payments. For some things, like home ownership, this is very common. But splitting all of your big purchases into monthly payments is not a good idea. It’s very easy to get trapped financially that way. Do you prefer to pay for things in cash or do you like taking advantage of monthly payments? What are some other risks to focusing on being able to “afford” monthly payments? When is it OK to finance something you buy? The post 3 Key Reasons You Shouldn’t Focus on Monthly Payments appeared first on Frugal Rules.